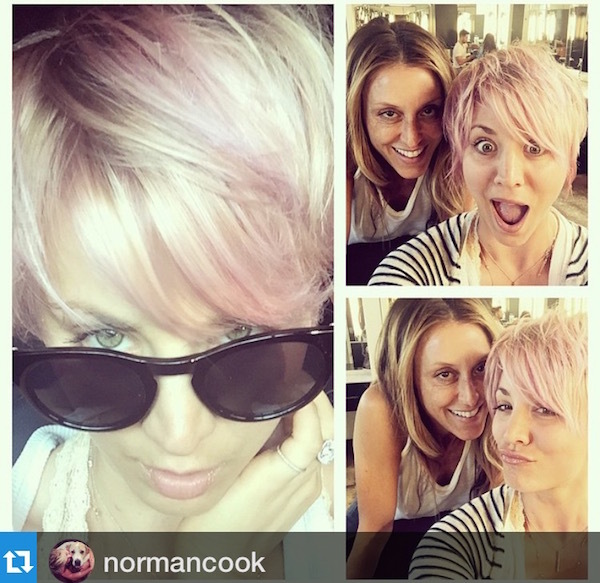 Kaley Cuoco: Kaley obviously has a thing for pink (even her Vera Wang wedding dress was pink!). The “Big Bang Theory” star recently added pale pink chunks amongst her blonde tresses, inspiring those of us who want subtle saturation. 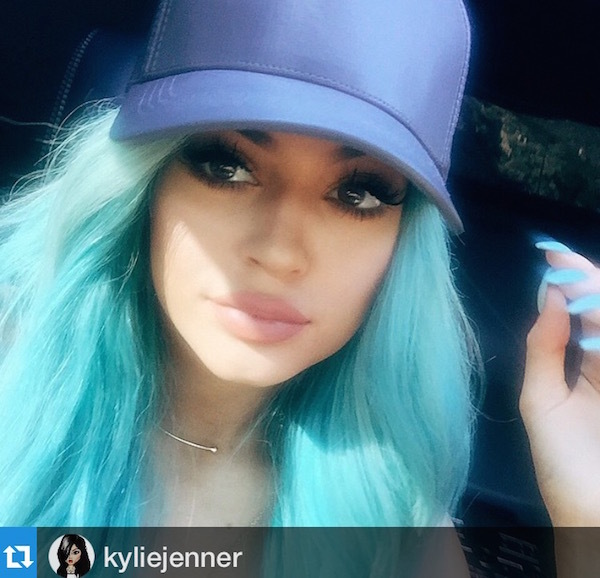 Kylie Jenner: The youngest from the “Keeping Up With the Kardashians” clan recently rocked long, aqua blue locks that are straight out of a fairytale. 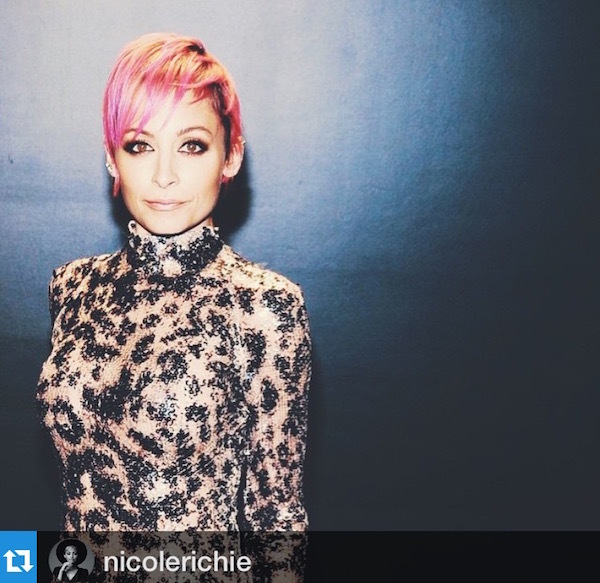 Nicole Ritchie: Nicole has sported a variety of hues (we’re still obsessed with that time she went purple) but pink seems to be the flavor of the month. 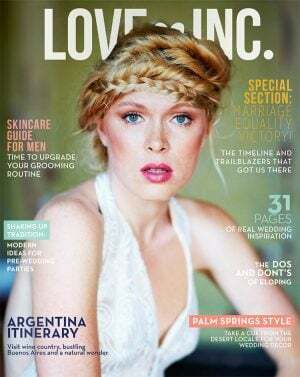 We gotta admit, it goes pretty well with her pixie cut. Hilary Duff: We would have never coined the former Disney tween star one for taking beauty leaps of faith but we’re so glad that the newly single 27-year-old is playing with color. 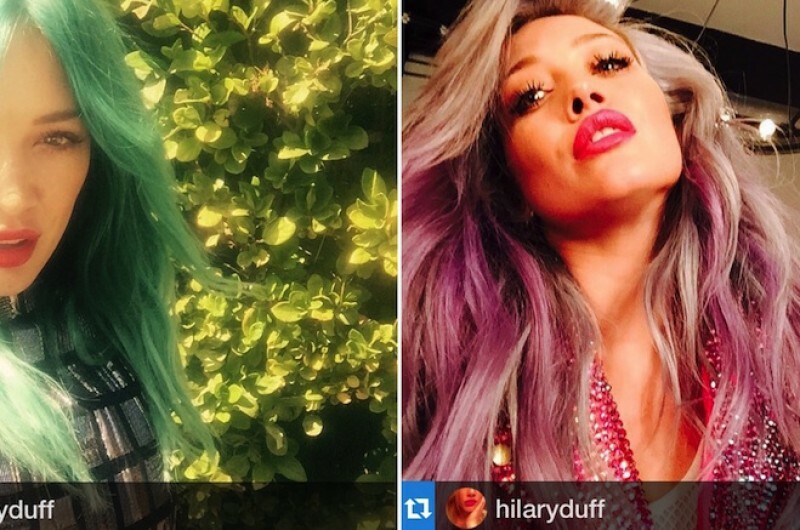 Within a month’s time she went from blonde to blue to pink and we honestly can’t decide which look we love more. 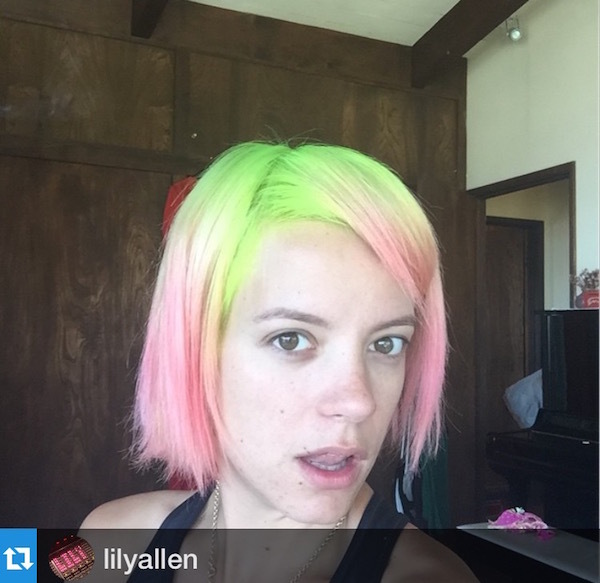 Lily Allen: Wanting to prove that age is just a number, Lily welcomed her 30s by dyeing her hair a vibrant watermelon hue. “Not long till I’m 30, one last hurrah on the hair front,” she Instagrammed. Share below, would you dye your hair an unexpected color?